Cashmere is one of those yarns that you grow into – many knitters take years before they splurge on this most beautiful yarn – waiting for just the right project, or until they are ‘perfect knitters’. 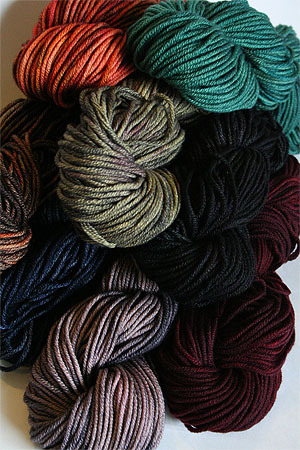 But Cashmere yarn is not just for the expert knitter – it’s for fiber lovers of all kinds. And the beauty of it is (and I’ve just found this out through very personal experience) is that the simpler the pattern, seemingly, the more exquisite the finished project. So, in some ways, being a novice is better with cashmere. I have an excuse for not doing a pattern, not doing a cable. 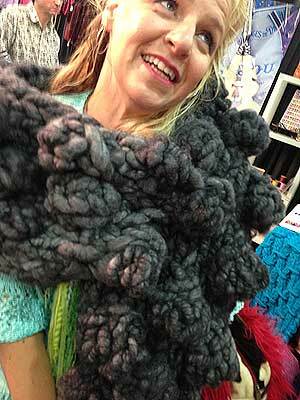 Just luxuriating in the incredible feel of cashmere yarn requires not a speck of talent. Not to say I’m an untalented knitter, or anything. Well, maybe a tad unpolished. But with yarn this beautiful, it’s ok.